Captain Gough was recommended to receive the Victoria Cross for four acts of bravery during the Indian Mutiny (1857-1859). The first, on 15 August 1857, occurred when a party of mutineers took up a position on the rooftop of a house at Khurkowdah, near Rohtuk. While attempting to dislodge them, Gough's brother Hugh was gravely wounded. Gough immediately attacked and killed his brother's assailants, saving his life. 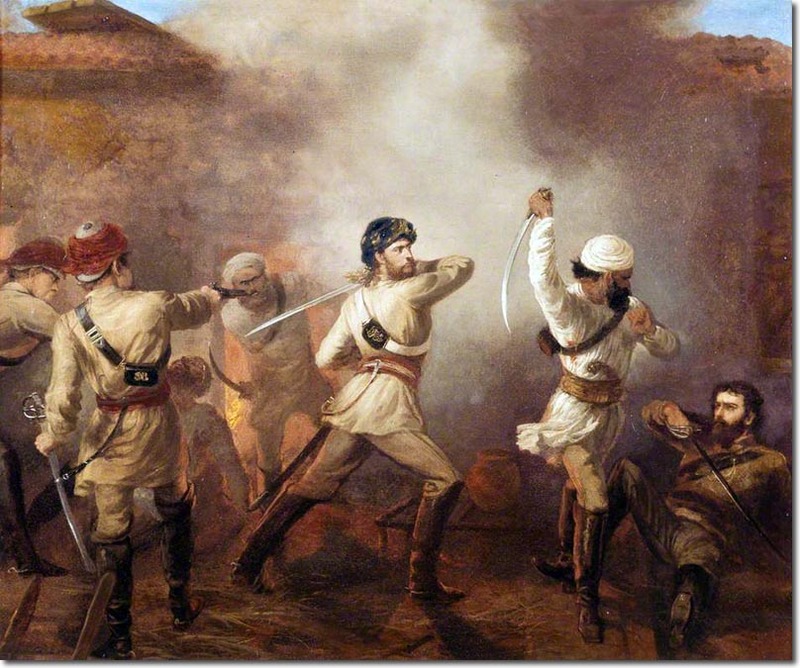 The other actions took place on 18 August 1857, when he fought hand-to-hand with an enemy sowar (trooper); on 27 January 1858 he led an assault at Shumshabad, near Agra; and on 23 February he saved the life of Brevet-Major Octavius Henry Anson at Meangunge, near Lucknow.